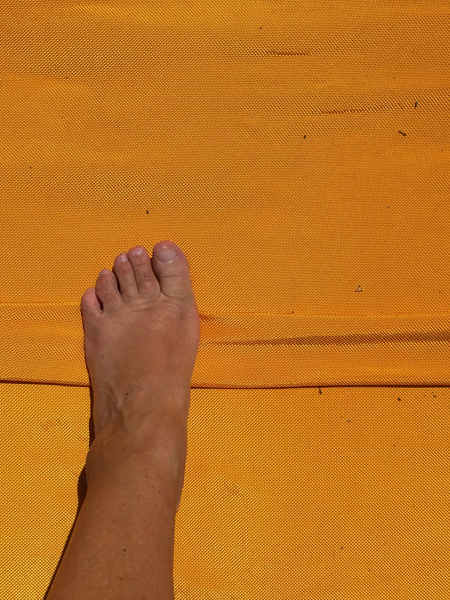 On the 20th of June I set foot on Christo’s first large-scale project since 2005. The Full Moon and Sun where with me (Summer Solstice). 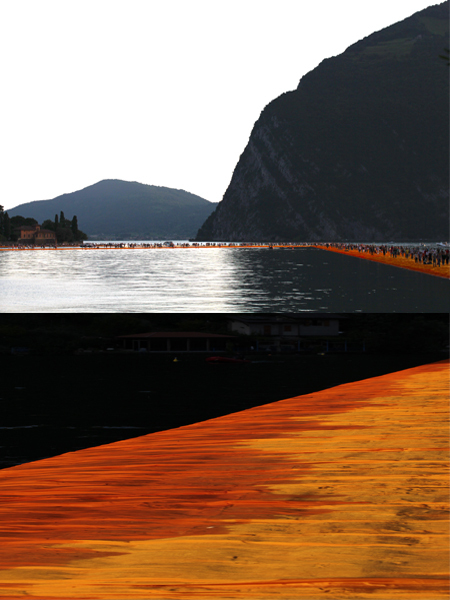 A 3 km stretch of saffron orange yellow golden walkway on the Lake Iseo in Italy and linking the village Sulzano to Monte Isola and beyond. 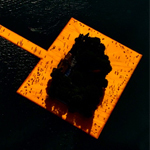 At first drawn back by the huge amount of people The Floating Piers attracted, but soon I felt my self walking my own path on the water. Flying over the installation the next morning was another highlight. 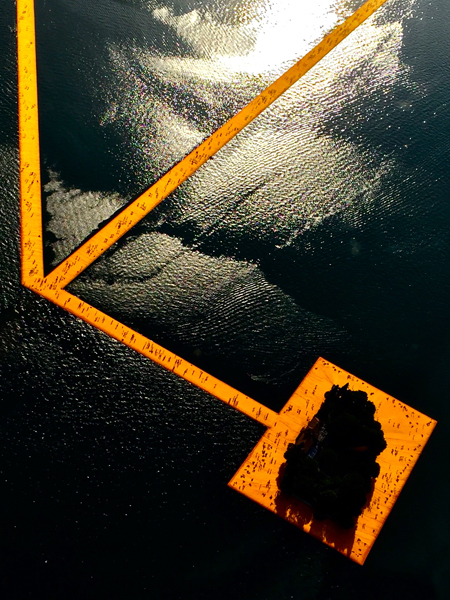 An impressive overview of the installation with tiny black dots covering the never ending stream of visitors on the golden piers. After the 16-day-exhibition, all components will be removed and industrially recycled.